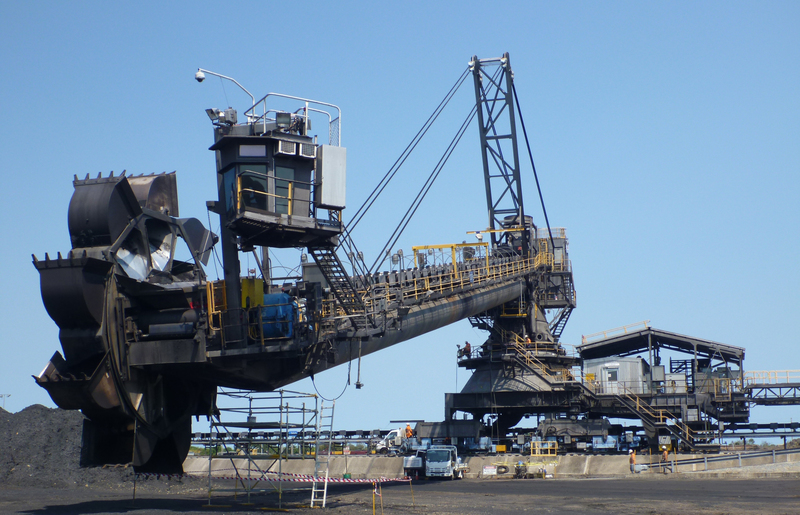 Mobile Bulk Materials Handling Machines can be a higher risk to an organisation than other structures because they are large, they move, they are often balanced, they are used at a high duty, and they are critical to the operation of a facility. In contrast to most static structures they are susceptible to collisions and structural fatigue and historically they have shown much higher failure rates. Due to this risk, owners and operators of these machines have significant responsibilities for risk management to prevent machine failures, accidents and injuries. To address risks associated with these machines, AS4324.1 was introduced in 1995 for the design of new Mobile Bulk Materials Handling Machines. The recently released AS4324.1-2017 introduces a number of changes and clarifications (these have been summarised in the ASPEC blog post here: Summary of Changes in New Revision of AS4324.1-2017). Importantly for owners and operators, the 2017 Standard discusses how AS4324.1 should be used for existing machines. It states: “This Standard should be used as part of a risk assessment process for assessment of existing machine structures for continued use, upgrade or modification“. This is a notable inclusion in the Standard since previous versions did not discuss the use of AS4324.1 for existing machines. For owners and operators of Mobile Bulk Materials Handling Machines, even those previously compliant with AS4324.1-1995, it is worth considering how this change impacts current risk management strategies, systems and procedures. The change may be in line with the approach many sites already undertake; otherwise, some sites may need to adopt a new risk assessment methodology that considers compliance with AS4324.1-2017. Either way, the most important goal is to understand, assess and address the current level of risk posed by each machine. General risk management principles and guidelines such as those outlined in ISO 31000:2018 (also referred to as AS/NZS ISO 31000:2018) could be used as a basis for undertaking a risk assessment of existing machines or managing the risks associated with continued use, upgrade or modification. Management of physical condition (inspection frequencies and types of inspections have been discussed in ASPEC post Machine Inspection and Audit Regime. Robust change management for machine settings and documentation. Historically, maintaining compliance of Mobile Bulk Materials Handling Machines has been problematic for owners and operators because AS4324.1-1995 was applicable only to new machines, and many machines built prior to 1995 did not comply fully. Many sites used the level of compliance of older machines to determine the risks associated with continuing to operate, however, this practice was not universal. The recent change in AS4324.1-2017 clarifies that the current compliance of a machine should feature in the ongoing risk management of the machine. Sites that have not undertaken a formal risk assessment for each machine (or where risk assessments do not adequately address compliance with AS4324.1-2017), should undertake this process in accordance with AS4324.1-2017. This applies to machines that may have been compliant to AS4324.1-1995. Review the design changes introduced in AS4324.1-2017 (these have been summarised in the ASPEC blog post here: Summary of Changes in New Revision of AS4324.1-2017. Determine the impact these changes may have on the current compliance of the machine and the compliance of the systems in place to manage the machine (e.g. documentation of design loads and protection system settings, and existing change management processes). Determine whether the risk assessment should be updated or whether a new risk assessment should take place. Review the outstanding risks and determine whether further action is necessary. An up-to-date risk assessment of an existing machine using AS4324.1 guidance can be an effective way to understand and address high or critical risks. An assessment may identify minor changes that can significantly reduce operating risk. One example is checking, calibrating and documenting critical protection system settings to be in line with the assumptions made during the design of the machine (or based on an updated strength and fatigue analysis of the machine structure). Many existing machines will not comply fully with AS4324.1-2017. A non-compliance does not automatically indicate a machine is unfit for purpose; however, it does indicate that further investigation is required. All non-compliances should be risk assessed by a competent engineer experienced with the operation and loading of Mobile Bulk Materials Handling Machines. Non-compliances could be added to a risk register or similar document and managed over time. Accepted by the business as a reasonable operational risk. A well-thought-out asset management strategy is key to managing risk and maintaining healthy assets. With the changes in AS4324.1-2017, compliance of existing machines should now be a part of every asset management strategy for Mobile Bulk Materials Handling Machines. Please see previous Aspec Engineering article on Asset Management Frameworks for more information. If you found this article useful, please share (Social links can be found below).